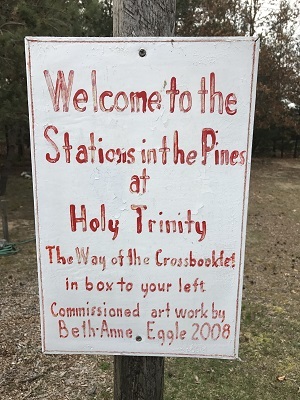 Welcome to the Stations in the Pines at Holy Trinity Episcopal Church. A wonderful way to follow the last hours of our Savior's sacrifice. Very much worth a visit.